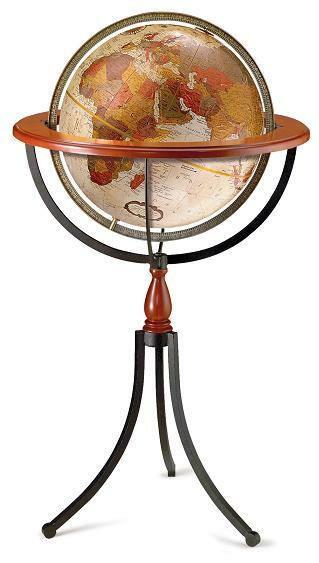 The Santa Fe Floor Globe from Replogle features an elegant wrought iron base with cherry wood details. Metallic land masses, antique oceans and a brass-plated meridian give the globe a distinguished presence. The Santa Fe Floor Globe is backed by a one-year warranty.